One of South America's most active volcanoes has erupted in southern Chile. It was spewing heavy smoke into the air as lava surged down its slopes. 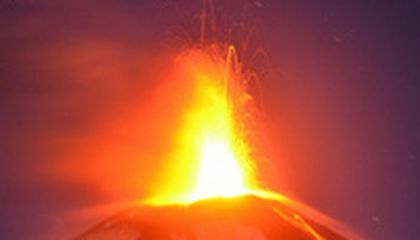 The volcano has prompted authorities to evacuate thousands of people. Authorities worried that mudslides caused by melting snow could endanger nearby communities. The Villarrica volcano erupted early Tuesday. That is according to the National Emergency Office, which issued a red alert and ordered evacuations. 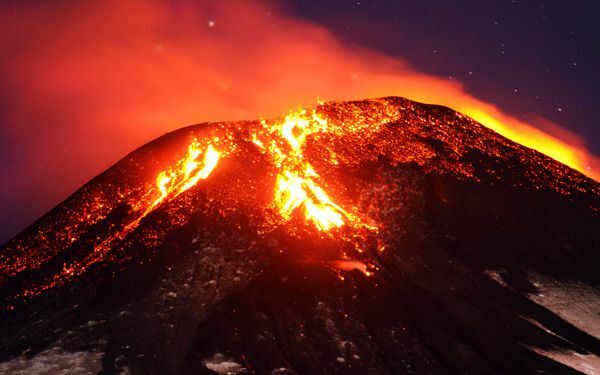 Media showed images of the volcano bursting at the top, and glowing in the dark amid heavy smoke and rivers of lava. President Michelle Bachelet announced that she will travel to the volcano-hit area to check on safety preparations and asked residents to remain calm. Chile has more than 2,000 volcanoes in the Andes cordillera and about 90 of them remain active. Villarrica is considered among the country's most dangerous. I think that this volcano (that is 9,000 foot) erupted in a bad time. Because there's snow and 3,500 people had to evacuate the place.